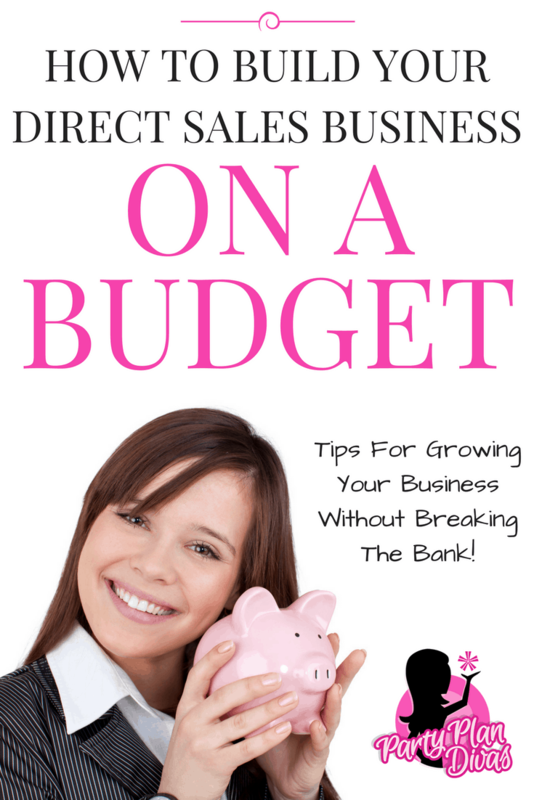 Building your Direct Sales Home Party Plan Business CAN be a very expensive endeavor – but it doesn’t HAVE to be! There are hundreds of ways to build your business FREE or nearly free. In fact – many of the FREE options will have even more ROI (Return on Investment) than many of the pricier options. Check ten tips for Building Your Home Party Plan Business on a Budget. 1. Customer Care – First and foremost always remember that we are all in the RELATIONSHIP business – the better the relationship you have with your customers, the better your business will be. Whether you sell lipstick, lingerie, handbags or hair accessories, Customer Care is an absolutely FREE way to build your business in huge ways. Keep in close contact with all of your customers, hostesses, and prospects. Emails, phone calls, and text messages are all ways to keep in touch with your customers on a regular basis and keep them coming back time and time again. Keep a Customer Care Box so you can easily keep track of all of your customers needs! By asking “Who do you know who” – you are asking for a NAME, not a “yes” or “no.” You can make the Five Magic Words work for you in any situation and get the results you want – a REFERRAL! 3. Take Advantage of Free Advertising Outlets – Have you ever been in a store and saw a Community Board or Bulletin Board? Many stores have a local “What’s Happening” cork board somewhere – even if it is in the Employee Break Room. And yes, people still look at them. Take advantage of these boards by putting up Tear Tab Flyers, Business Cards, Postcards, etc. As a member of Party Plan Divas, you will have access to hundreds of Templates you can download to your computer to use anytime! 4. VistaPrint – Speaking of Business Cards, Postcards, and Flyers – VistaPrint.com is an incredible resource for stocking up on these crucial marketing materials at a fraction of the price. By signing up for their Exclusive Offers emails (bottom right-hand side of the page) you will receive all of their promotional emails – offering items such as 250 free business cards, 100 free postcards, 25 free brochures, and more! 5. Party Swapping – Look up other Party Plan Consultants and consider Party Swapping – you agree to host a party for her if she will host a party for you! This is a great way to meet new customers who you might not otherwise meet! Other Party Plan Consultants can also be a great resource for finding Expos, Networking Events, and just Sisterhood Support. Remember that it is very unethical to try to Recruit another Party Plan Consultant – even if she is struggling, do not use that as an opportunity to recruit her. 6. Hold An Open House – Looking for Hostesses? Why not BE one!? Hold your own Open House and invite literally EVERYONE who you have ever done business with, or would want to introduce your business to. Offer incentives for Bookings and Sales! You can even consider making it a “Mystery Hostess Open House” – put all of your orders in a basket after the event is over, and draw one customer to receive all of the Hostess Rewards from the Open House! This is a great opportunity to showcase new products, introduce new collections, and highlight new Hostess Rewards Programs. 7. Social Media – The numbers for Social Media are staggering – with over one BILLION users on Facebook alone. Even if you are not very tech-savvy, you can begin building an online presence via Facebook, Twitter, Instagram, and – my absolute favorite – BLOGGING! With Search Engines all but eliminating phone books, it is crucial to have an Online Presence to keep up with today’s market. Check out our numerous Free Training Videos in our Facebook Community. 8. Join a Networking Group – Many cities offer all kinds of Networking Groups. 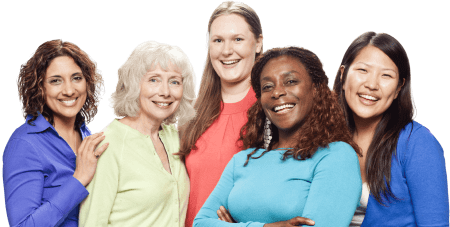 Women’s Groups, Small Business Groups, Direct Sales Groups – you name it – they are all out there! Check your local Chamber of Commerce Events Calendar to find Networking Events in your area. (If there isn’t one in your area – START ONE!) Some are free and some are paid – but most all of them will let you attend a meeting or two first to make sure it is a good fit. Be sure to take your Business Cards and other Marketing Materials, along with your Award-Winning Smile, Positive Attitude, and “Elevator Pitch” and talk to as many people as possible. 9. Gardening – Gardening is the term we use at Party Plan Divas for Marketing your business. Gardening is like “planting seeds” of success while out doing your normal daily routine. While you are dropping your kiddos at school, run in and offer Gardening Gifts to the teachers and staff in the office. When you head to lunch, take Gardening Gifts for the waitstaff at the restaurant. While you are at the Grocery Store, offer little Gardening Gifts to the employees in each department – including the checkout clerks. Go into the bank instead of using the drive-through, and offer all of the Tellers a Gardening Gift. Truly ANYWHERE you go is an opportunity to “plant your seeds” with Gardening Gifts. Keep Gardening Gifts in your car and in your purse – you never know when an opportunity may arise. 10. Just Start TALKING! The “Gift of Gab” is a learned behavior – you are not born with it! Talking, selling, prospecting – all of these skills are learned by repetition, consistency, and trial and error. The more people you talk to about your business, the more Customers, Hostesses, and Team Members you will receive. You can not sit at home and grow a million dollar business – not quickly anyway – so GET OUT AND START TALKING!